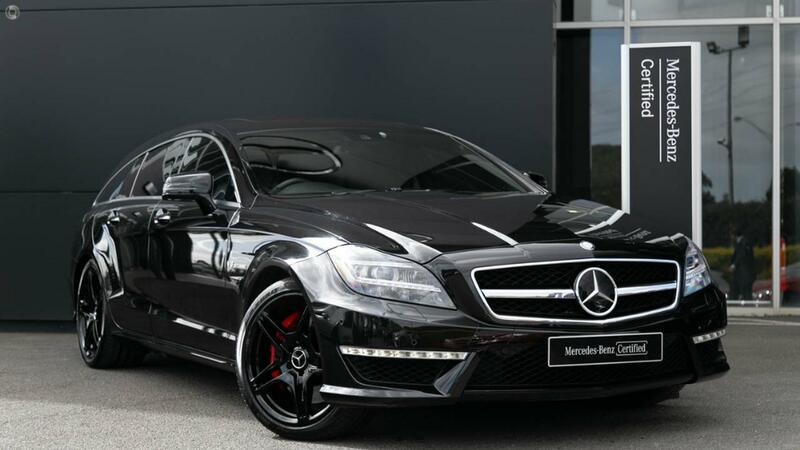 Australia's Most Awarded Mercedes-Benz Retailer proudly presents this exceptionally rare Certified CLS63 AMG S Shooting Brake, perfectly presented in Obsidian Black Metallic with Black & Anthracite Exclusive PASSION Leather with grey top stitching and Silver seat belts to compliment. With the AMG DRIVE UNIT and 430kW / 800Nm direct-injection, Bi-Turbo 5.5 V-8 providing the motivation and the maestros at AMG providing the scintillating soundtrack, take the wheel of your extra-ordinary CLS63 AMG S Shooting Brake with absolute confidence - ONLY from a Certified Mercedes-AMG expert and the reigning "Mercedes-Benz Metropolitan Retailer of the Year" again, for the 5th time in 6 years! We have one of the largest ranges of Pre-Owned Mercedes-Benz Vehicles in Australia - with AMG our speciality - all displayed under cover. All our 'Certified Premium Plus' vehicles undergo an extive 120 Point Check in our state-of-the-art Mercedes-Benz Workshop by factory trained specialist technicians. Exclusively fitting Genuine Mercedes-Benz Parts & Consumables, we offer complete confidence when purchasing from us.